One thing I really liked about this retelling of the story was that it gave more of a motive for why the Beast was cursed in the first place. Sure, he wasn’t a great guy, but there are plenty of rude and selfish people that don’t get turned into hideous creatures. The idea that he had this horrible curse just because he wouldn’t let a random old woman sleep in his house always seemed a little bit of a stretch to me. In this version we have a more logical reason for why the beggar woman curses the Beast. I feel like the writing and the writing style have improved a bit from the last novel. Although it still changes point of view at times, it does so in what feels like a more natural way. And while the prose isn’t stellar, it at least flows well and keeps you reading. Some of the excess description that I felt was tedious in “Fairest of All” isn’t here, so that’s good too. In this story the Prince/Beast isn’t a great guy in the beginning, but we can see more of the inner workings of his brain. Why he does the things he does, and his rationale for doing them (though we probably don’t agree with him). It would be nice to see more of Belle, but understandably this is really the Beast’s story, and she just comes in at the end. My biggest complaint about the book would be the ending – not necessarily the content of it (which follows the movie very closely), but more the pace. The last couple chapters of the book felt extremely rushed. The author spends so much time detailing the Beast’s downfall. But we know that he learns how to be a good person and eventually break free from the curse. However, this part is kind of glossed over and rushed through, which almost makes it a bit unbelievable. Yes, we can fill in the gaps with what we know of the movie, but we shouldn’t have to. I would have liked more time spent on the specific things that led him to be a better person. 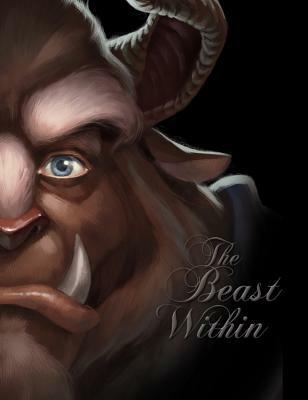 Overall, I really enjoyed this take on the Beauty and the Beast story and thought it was a bit better than Valentino’s last book. If you like new takes on fairy tales, definitely check this one out! This entry was posted in Books, Reviews and tagged Beauty and the Beast, book, Review. Bookmark the permalink. ← Glass Slipper Challenge training – 2 weeks to go!! So, this is an actual Disney book? Yes, it’s published by Disney! They were actually selling it in the Beauty and the Beast shop in Magic Kingdom. Where’s the ‘Beauty and the Beast’ shop in Magic Kingdom? Oh ok, I haven’t been to MK since the Fantasyland Expansion. I don’t understand people who think one version of a story is the only one that can exist. I believe just about all of Shakespeare’s plays were based on existing stories. The beauty of making art is that you can create something entirely new out of something that already exists. I don’t understand it either. I think people just really love one version of something, like the Disney version of Beauty and the Beast, and just can’t accept any other versions. It’s a shame really!